Texas County is on the rise when it comes to healthier living and many different entities in Guymon are taking steps necessary for a better community, one of those being youth-based. Kids Inc. in Guymon passed a Tobacco Free Policy on Monday, Oct. 6. The purpose of the policy is to provide everyone who visits, volunteers and plays at Kids Inc. facilities and recreational fields a healthy and safe environment. 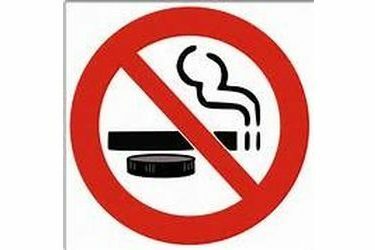 The policy prohibits the use of any tobacco product by anyone, anywhere at any time on Kids Inc. premises. This includes tobacco products – “any product that contains or is derived from tobacco and is intended for human consumption excluding drugs or devices approved for cessation by the United States Food and Drug Administration.” E-cigarettes and vapor products with or without nicotine fall into this category and are prohibited as well. This policy will be enforced on all Kids Inc. owned or operated property including within the facility building or on any of the field property at any time – without exception. The policy applies to everyone, including Kids Inc. board members, officers, employees, volunteers, independent contractors, vendors, clients, guests, visitors or patrons. Signs will be posted on the property to inform guests of the policy. The signs will indicate that tobacco is not permitted and the Oklahoma Tobacco Hotline 1-800-QUIT-NOW will be promoted. Employees and volunteers with Kids Inc. will be communicating the policy to anyone at the facility found using tobacco products and request the individual to stop. The individual will be requested to leave if they refuse to respect the request to stop the tobacco use on Kids Inc. grounds. This policy is one of many ways the community is improving to become a healthier place to live. Although there is always work to be done with prevention, steps such as these move toward the right direction to help create a positive example for future generations and improve the environment for all those who come across the grounds of Kids Inc. property. “We are given the opportunity to implement the tobacco free program and we are honored to be a part of the program that sets a positive example for our youth,” Kara Curtis, Kids Inc. Board President, said. This is not an ordinance of the City of Guymon, but is a policy taken on by the Kids Inc. board to be enforced at all times.